South Bay Gold (SBG) (http://www.southbaygold.com/) is a bullion, coin, and jewelry dealer with three different storefront locations in Southern California. The business was founded in 1997 and has since become one of the leading gold buyers and sellers in the Los Angeles County area. The company is headquartered in Torrance, California, the location of its $2 million dollar refinery and manufacturing facility. With no rating from the Better Business Bureau, at first glance you might think that South Bay Gold had absolutely no internet reputation. However, upon further investigation it becomes apparent that they've amassed a decent amount of positive feedback on Google+, Yelp, and YellowPages. In addition to selling bullion, SBG also specializes in a variety of other products and services, including custom jewelry design, rare coins, diamond buying, and gold refining. An overall diagram of SBG's products/services can be found on their About Us page. SBG does not appear to be partnered with any particular IRA custodian(s), as IRAs are not mentioned anywhere on their website. Thus, if you were to purchase gold from South Bay Gold with the intention of depositing it into your IRA, you would first need to consult with your own custodian and ensure that the products you're purchasing are IRA-eligible. Gold Bullion – Catalog of South Bay Gold's gold bullion. About SBG – Comprehensive company overview. Locations – SBG's store locations. 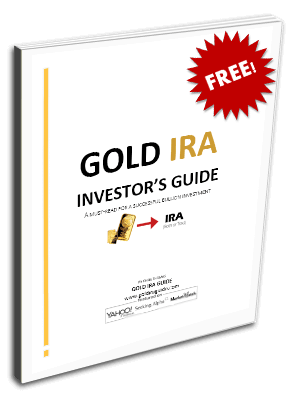 Purchasing gold for your IRA can be an easy and straightforward process, if you deal with the right company. Not all bullion dealers are partnered with IRA custodians – the companies in charge of storing your gold at an IRS-approved depository – and in such cases you'd need to find your own trusted custodian and then ensure that the precious metals you're purchasing are IRA-eligible. Most importantly, investors should consider whether their custodian will be charging a flat rate fee (which stays the same regardless of how much gold is in your IRA), a sliding scale fee (which rises as the market value of your account increases). With our convenient comparison chart we've made it easy for anyone to quickly see which precious metals companies charge which fees, while also comparing their overall reputation across the top business directories. If you're an owner, representative, or associate of South Bay Gold and you've noticed any information within this review that is incorrect, misleading, or outdated, please do contact us with your revision requests. We strive to give our readers the most accurate and up-to-date reviews on an ongoing basis. South Bay Gold is a bullion, coin, and jewelry dealer with three different storefront locations in Southern California. The business was founded in 1997 and has since become one of the leading gold buyers and sellers in the Los Angeles County area. The company is headquartered in Torrance, California, the location of its $2 million dollar refinery and manufacturing facility.